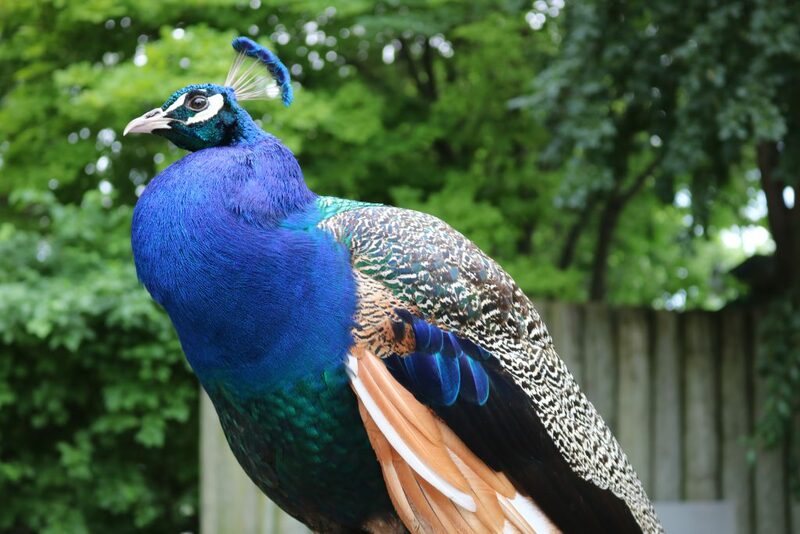 Our peafowl roam freely throughout the Zoo, creating an amazing opportunity to see them up close and personal! 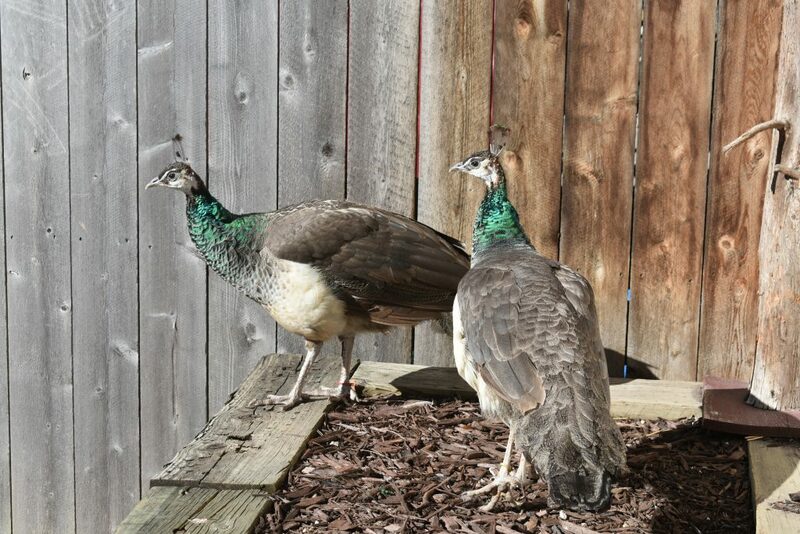 Like many other bird species, the male — called a “peacock” — is more colorful than the female, called a “peahen.” The peacock’s long colorful train is made up of about 150 feathers growing from his lower back. He raises his tail feathers in that famous dramatic fanned display to attract a mate or compete with other males for mates. The peacock struts back and forth during his mating display, not only to attract a female, but also to keep his balance as the wind catches his enormous fan of feathers. In addition, the peacock’s colorful plumage helps protect him from predators, by camouflaging him among the trees. Peafowl are sacred in some parts of the world as a symbol of the goddess of learning and the god of war. In other places, roast peafowl is considered a delicacy. Peacock feathers are appreciated the world over for their striking colors and pattern. The export of peacock feathers, however, is illegal. The Indian peafowl (Pavo cristatus) is not under threat of population decline at this time, but the very similar green peafowl (Pavo muticus) is endangered.